Got a special request for handcrafted jewelry, or can’t find exactly what you’re looking for in the Tripawds Etsy Store? Just ask! That’s what a friend of Tippy’s did. 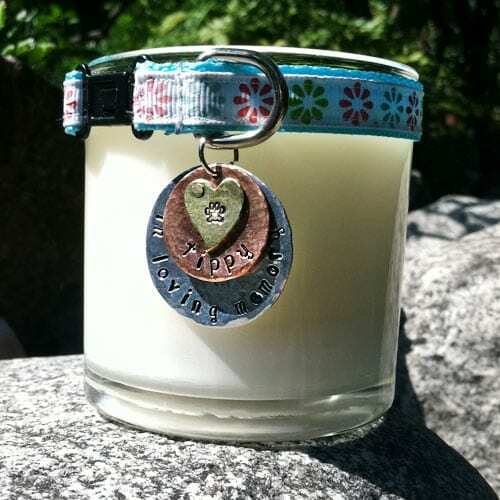 She was making a tribute candle after Tippy went on to the Rainbow Bridge, and she wanted a special memorial charm to attach to Tippy’s collar. And if you’re looking for something really different, she’s getting into leatherwork too. 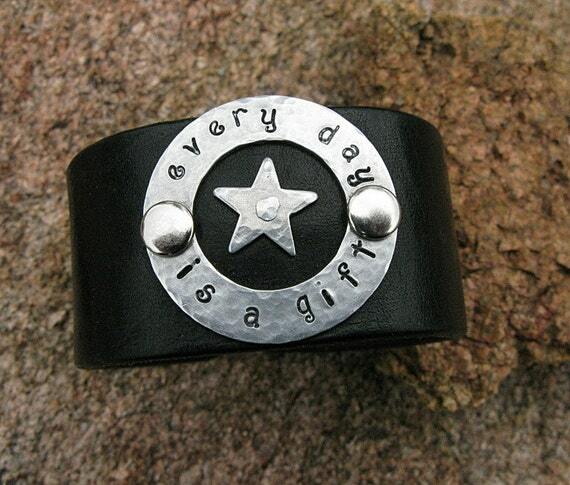 All of these items can be customized with your special message, animal-related or not. Well, as you can see, Wyatt’s mom is very accommodating and becoming quite talented with her hand stamped metal jewelry. So if you have something special in mind, just let her know! Subscribe to Receive Tripawds News for a Free Esty Store Coupon!